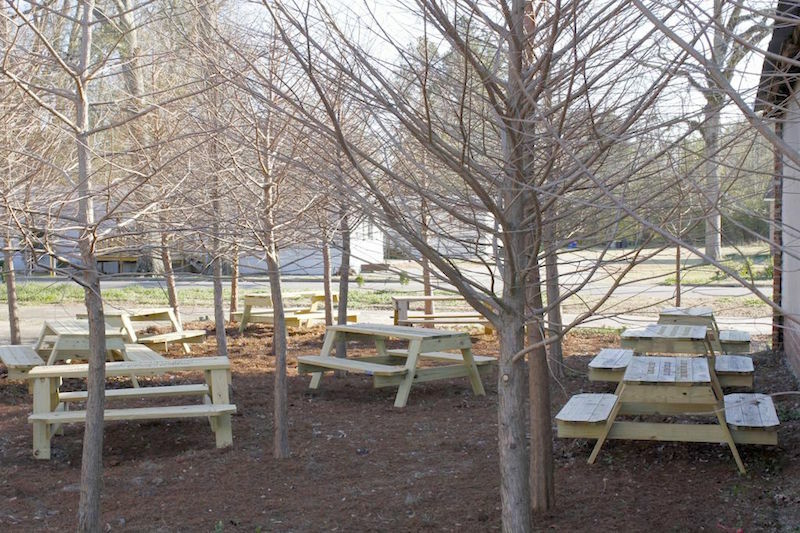 A grouping of picnic tables in the courtyard of the Coleman Center for the Arts, in York, Alabama. 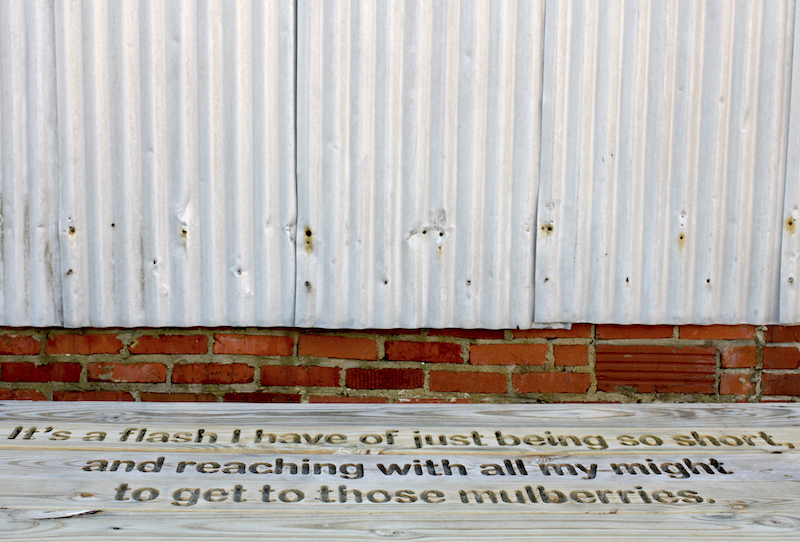 We interviewed dozens of local residents about how things have changed in their town, especially in regard to fruit and rural traditions. 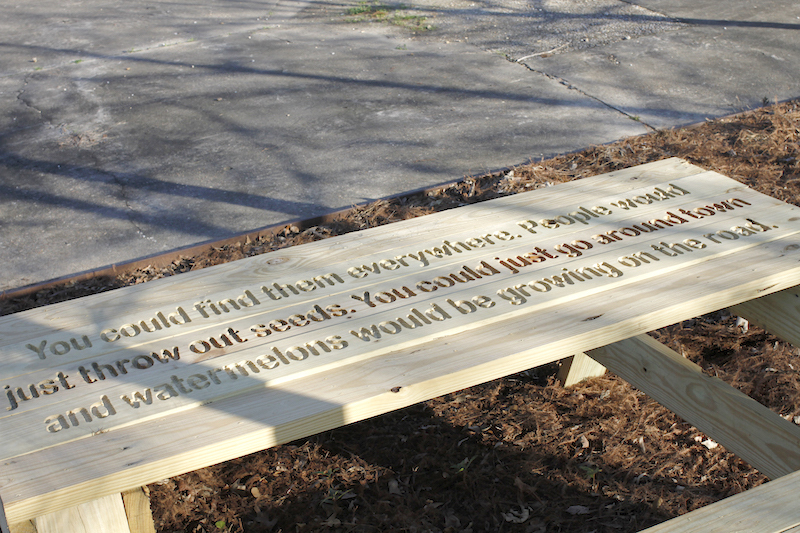 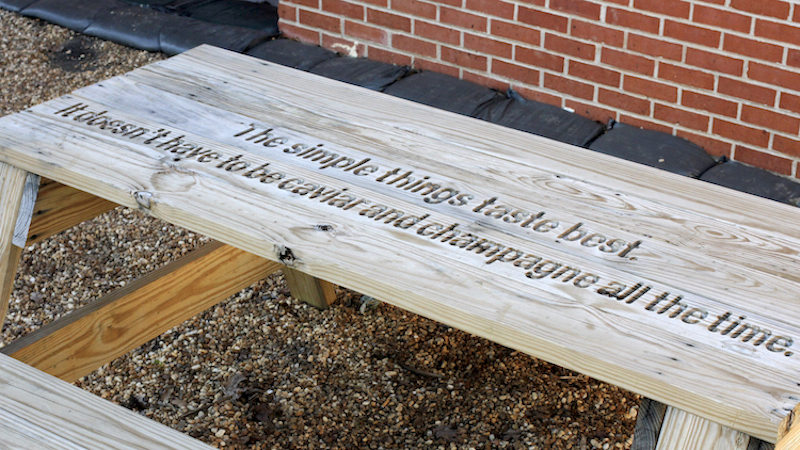 Their words are inscribed on each of the ten picnic tables outside the Coleman Center.